This post is an ‘issues post’. It differs from previous posts in that the focus is not on the work or initiative of a particular school, or group of schools, but on a specific, background issue – racism – that affects the quality of education in all schools – State, Independent and Catholic – and at all levels. The basic argument is that racism in the school situation, as a form of anti-social behaviour, is highly toxic. Additionally, in terms of educational values, it represents the antithesis of our formal and professed declarations of the intrinsic worth and nature of education. Since education is a fundamental human right, its outcomes should not result from differences in parental wealth, social status or influence. Nor should its outcomes be limited by the experience of racism – or any form of prejudice or intolerance. The South Australian public education system and its schools pursue equity through such strategies as providing focused support in teaching and learning and additional resources for students from educationally disadvantaged backgrounds or with special needs. And by actively countering the practice and effects of racism. Education is one of the major vehicles through which our society develops people who are capable of working together to achieve benefits for the whole community. Thus collaboration and trust are central features of a public education system. Yet, the unmentioned racism is the very antithesis of ‘collaboration and trust’. Public schools exist within the local communities from which their student population is drawn, creating a bond between schools and their communities which fosters a powerful community spirit. Again, the presence of racism within a community denies any possibility of … a powerful community spirit. Essentially, racism is a highly negative, corrosive force that can undermine every single one of the 6 characteristics of public education identified in the statement. Arguably, there needs to be a sharper focus on it. (Goal 2) All Australians become: successful learners; confident and creative individuals; and active and informed citizens. However, as already noted, racism is the fundamental denial of any notion of equity. In terms of educational outcomes, the effects of racism must always compromise the possibility of excellence. Moreover, racism acts as a barrier to students becoming successful learners. It undermines their ability to become confident and creative individuals. And it perverts the prospect of their future as active and informed citizens. Unsurprisingly, manifestos and aspirational declarations about education are written in positive terms but, arguably, the threat posed by racism – particularly at the present time – warrants a more direct focus on the immediate and substantial challenge it poses to educational outcomes and educational ideals. 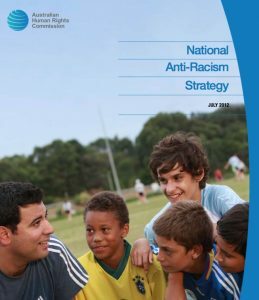 For an example of a current, comprehensive, formal statement on the impact of racism on educational outcomes and school culture see the 2017 NSW Department of Education Anti-racism education. Advice for schools. The ‘advice’ given recognises the need to be open and direct about racism in the school setting. It specifically questions the practice of ‘silence’. Recognition of racism and its intent and impact is an essential part of any anti-racism education strategy. Silence and denial are identified in anti-racism research as two major impediments to countering racism in Australian society. Silence and denial are fundamental to the continuing existence of racism. People who are subjected to racial discrimination and intimidation have often been silent about what has happened. Many have come to believe that racism is inevitable or at least unavoidable. Those who practise racism have been inclined to deny its existence or not to recognise or admit to their own racist behaviours. The situation is exacerbated when the racist behaviours have gone unchallenged, as a result of complaints being ignored, diverted or denied. The result is that the effects of racism remain hidden, misunderstood or ignored. It is in this way that racism can become so pervasive that it seems acceptable and normal. Breaking the cycle of silence and denial is an important first step in eliminating racism and building confidence amongst the school community. Racism is a form of privilege or oppression resulting from a societal system in which people are divided into ‘races’, with power unevenly distributed (or produced) based on these racial classifications. It goes on to explain how the classifications … are based on perceived biological, cultural, religious or other differences. There are more accessible, working definitions, such as that employed by the Australian Human Rights Commission in its National Anti-Racism Strategy July 2012. Racism can take many forms, such as jokes or comments that cause offence or hurt, sometimes unintentionally; name-calling or verbal abuse; harassment or intimidation, or commentary in the media or online that inflames hostility towards certain groups. At its most serious, racism can result in acts of physical abuse and violence. It often manifests through unconscious bias or prejudice. On a structural level, racism serves to perpetuate inequalities in access to power, resources and opportunities across racial and ethnic groups. The belief that a particular race or ethnicity is inferior or superior to others is sometimes used to justify such inequalities. Importantly, racism is highly targeted behaviour directed at specific community groups – based on race or culture – and individuals from those groups. Consequently, the experience of racism – what it feels like to be subjected to racism – is unfamiliar territory for the ‘mainstream’ citizen, typically described as a white, multi-generation Australian of anglo-celtic background. Obviously, many such mainstream citizens completely reject racist behaviour, and they can form some sense of what racism must feel like for those who are subjected to it. For example, traditionally, classic literary texts (eg. To Kill a Mocking Bird) have examined the moral issues and developed young people’s empathy for those subjected to racism. However, there is a highly significant gulf between those who experience racism – in all its forms, with all its attendant risks and dangers, and on an ongoing and unrelenting basis – and those who are upset, concerned or angry that it occurs but who, at the same time, have had no direct experience of it. Inevitably, because racism lies outside the real life experiences of most people, there is a natural tendency to downplay its significance, in terms of both its frequency and impact. There is a natural tendency to ‘silence’ – the conscious or unthinking decision neither to acknowledge nor challenge the racist behaviour. Others rationalise their racist behaviour by ‘substitution’ – the flimsy claim that while the behaviour certainly appears racist, there are other background causes. Still others will employ humour to mask the racism, and even deride those who cannot get or take the ‘joke’. In a moral/legal sense, racism represents a denial of the individual child or young person’s human rights. Where it occurs undetected or where it is ignored or downplayed, the individual rights of the child affected are compromised and there is an inevitable sense of exposure, targeting and vulnerability on his or her part. Racism represents not just an attack on a person’s sense of human dignity but an explicit statement about the person not being as entitled or protected or as valued as others. It is about power. Equally, every instance of racism undermines our legal code – Racial Discrimination Act 1975 – and societal norms. This is particularly the case in the school situation where other students see the racist behaviour, understand it as racism, but then observe that it is not challenged. Overall, racism gives rise to a complex cluster of effects which serve to challenge the moral and legal framework that we assume characterises both our society generally and our schools specifically. It is also important to emphasise the vicarious nature of racism. In this context, where racism is public there can be a variety of responses from those who witness the episode. Some students might identify with the perpetrator, while others will identify with the victim, either because they see themselves as belonging to the same target group or, simply, because they are emotionally distressed by the racist behaviour and/or it offends their sense of ‘right’ or ‘fair play’. Research suggests that the effects of vicarious racism can be as harmful as those associated with direct racism. Additionally, as the level of overt and public racism builds, the vicarious effects become more complex and the level of dysfunction within the school intensifies. Racism can quickly compromise the culture of the school and present a stark contrast between, on the one hand, the school’s professed values and ideals and, on the other, the real behaviour – and its consequences – exhibited and witnessed by students. As already noted, one further complication is that while for many students racism is a very common and readily identifiable experience, their teachers – particularly those whose backgrounds distance and protect them from the reality of racism – might not appreciate either its incidence or its seriousness. They might see the background reality and view racism as just another form of bullying. The lower levels of health experienced by Aboriginal Australians are well documented. Similarly, there is research on the relationship between poor health and the experience of racism. 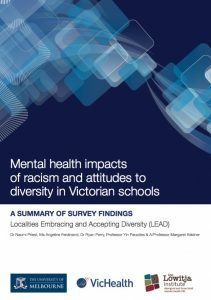 For example, see the 2012 VicHealth study, Mental health impacts of racial discrimination in Victorian Aboriginal communities – Experiences of Racism survey: a summary and also The Impact of Racism on Indigenous Health in Australia and Aotearoa: Towards a Research Agenda (2008). However, the amount of research that specifically looks at the relationship between the racism experienced by Indigenous children and youth and their overall health – and mental health – is limited. The 2008 Australian and New Zealand study referred to here, acknowledged the research on the relationship between the experience of racism and poor health outcomes for adults, but then noted that … little research specifically investigates the impact of racism on the health and wellbeing of children and young people [2,10,12]. 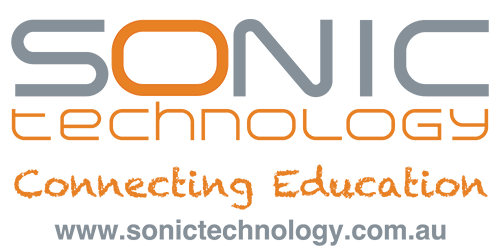 Research that does exist predominantly focuses on African American adolescents in the United States . These studies have shown strong associations between self-reported racism and poor mental health outcomes, indicators of metabolic and cardiovascular disease, and substance use [12,13]. The applicability of these findings to Australian young people, including those from Aboriginal and Torres Strait Islander backgrounds, requires further investigation. being a second- or third-generation migrant (more than four times more likely to report an experience of racism than other participants, all other variables being equal). Again, there has been more research on the situation in the United States. As an example of relevant American research, consider the following 2015 study from the National Centre On Integration Policy entitled, The Educational, Psychological, and Social Impact of Discrimination on the Immigrant Child. The particular study highlighted the psychological impact of racism on students. It found that … that children’s perceptions of direct discrimination are strongly associated with numerous negative psychological and physiological consequences. The negative consequences included lower self-esteem, greater likelihood of hopelessness, depression, anxiety as well as more delinquent and aggressive behaviour. Students’ perceptions of discrimination are also associated with negative academic outcomes. These outcomes are conceptualized in several ways: (1) objective performance measures, such as grades, academic achievement, and risk of dropping out of school; (2) academic motivation, or how determined children are to do well in school; and (3) self-perceptions, or how students think about their academic performance, including how much ability they believe themselves to have (i.e., self-efficacy) and to what degree they define themselves by their academic successes (i.e., academic self-concept). Experiencing discrimination is detrimental to all these academic outcomes. Specifically, children who perceive discrimination in school are likely to perform worse academically, be at greater risk of dropping out, and believe that doing well in school is unimportant or not useful and that schoolwork is not enjoyable. They also experience greater stress levels, which are in turn associated with a worse adjustment to school practices and expectations. Globally, racism is receiving increasing attention as a determinant of health (Braveman, Egerter et al. 2011). There is a growing body of epidemiological evidence showing strong associations between self-reported racism and poor adult health outcomes across diverse minority groups in developed countries (Brondolo, Brady et al. 2011; Brondolo, Hausmann et al. 2011). There is also a growing body of evidence that considers the effects of racial discrimination on child and youth health (Priest, Paradies et al. 2013). This includes strong and consistent relationships between racism and negative child and youth mental health outcomes such as anxiety, depression, and psychological distress, as well as behaviour problems and substance use. Evidence is also emerging of associations between racism and poor physical health outcomes, including immune and inflammatory markers of chronic disease and obesity. Over a third (33.2%) of students reported direct experiences of racism at school and over a fifth (22.5%) experienced at least one form of direct racism every day. 45.3% of students born in non-English speaking countries reported experiencing at least one form of racism. It also noted that … most reported experiences of racism were perpetrated by other students rather than by teachers, and the most common direct experience reported was students being told they didn’t belong in Australia (19.5% monthly or more). The research also highlighted the extent of ‘vicarious racism’. Clearly, students know what racism is and they see it on a regular basis. If the research is accurate, the incidence reported here is alarming. Far more students reported experiences of vicarious racism than reported direct experiences of racism. Students most commonly reported other students being called names or teased because of their cultural group (65.6% monthly or more), followed by other students being left out (44.3%) or being physically targeted (40.8%). 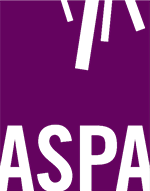 The major study – Experiences of Racism, Racial/Ethnic Attitudes, Motivated Fairness and Mental Health Outcomes Among Primary and Secondary School Students published in the Journal of Youth and Adolescence (2014), called for more research, noting that … despite the diverse racial/ethnic population student profile [in Australian schools] and disturbing rates of racist experiences, research on the prevalence and impact of racist experiences for primary and secondary school students in Australia is lacking relative to that in North America. Sitting behind any statement or declaration of goals for Australian schools is the reality of racism. Whilst there is a natural reluctance to draw attention to racism, research highlights the high number of students affected by it. The same research is beginning to give a fuller picture of the negative impacts of racism on the student’s schooling and his or her social development. It is also highlighting the serious health impacts, particularly in the area of mental health. Racism has no place in Australian schools. It goes against important principles of our education system, such as giving all students equal opportunities to learn and flourish, regardless of their background. Further, the experience of racism in the school setting, either directly or vicariously, will continue to compromise the lives of affected students as they move to adulthood. Broadly speaking, schools apply 2 general strategies for tackling racism in the school situation. The first strategy is essentially legalistic and responsive. It involves, in the school situation, describing – and defining – racism, identifying when it occurs and immediately tackling the specific behaviour. 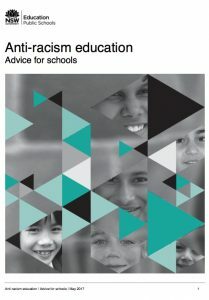 The second strategy is broader – focused on the whole school – and more educational, in that the emphasis is on minimising the background factors that can promote racism within the school and, concurrently, maximising all students’ exposure to what is commonly referred to as ‘intercultural understanding’. This particular term is employed broadly but it also has a more specific meaning in that it is used to describe one of the general capabilities in the Australian Curriculum. [link]. The term ‘anti-racism education’ is also sometimes employed. In addition to the general capability of Intercultural Understanding, other of the general capabilities in the AC – for example Ethical Understanding – also play a role in minimising racist ideology and behaviour. As referred to earlier, the NSW Anti-racism education. Advice for schools. represents a fully worked model of a school strategy where both these approaches are employed. The same twin focus – prohibition and education – is evident in curriculum materials that deal specifically with the issue of racism. For example, consider the following introduction from the Yr 9-10 unit Tackling racism in Australia prepared by the Australian Human Rights Commission. This unit of work encourages students to think about diversity, particularly in relation to people, groups and their cultures, to affirm and celebrate difference and to use their understanding of diversity to act with respect, empathy and trust. The unit also explores the impact of discrimination and harassment on individuals, their family and friends and the wider community. Students learn to identify racial discrimination, racial harassment and racial vilification as unlawful acts, which undermine safe, respectful environments for all. In order to put a stop to racist attitudes, beliefs and behaviours, it is important that we involve students in becoming part of the solution. This unit is designed to inform students about the realities of racism and its impact on Australian society. developing the capacity of principals and other school leaders to develop whole-school initiatives to combat racism and reduce the impact of racism on the health and wellbeing of students. This should be supported through a mentoring program to develop school leaders who can drive whole-school initiatives in relation to racism and its impact on health and wellbeing. ongoing targeted professional development for teachers to enable them to identify issues of racism active in the school, including those operating within their classrooms. This will empower teachers to deal with these issues more effectively and with a greater awareness of the inherently sensitive aspects of culture and race and overall inclusive educational practice. the provision of targeted classroom resources and pedagogical tools, including curriculum materials, that facilitate constructive engagement with the sensitive issues of culture, race and inclusive practice. training in diversity, inclusive practice and other cultural and intercultural issues for administrative staff. As well as helping to tackle racism, the focus on intercultural understanding acknowledges the profound changes in Australian society since WW2, brought about by migration and the gradual undoing of what had been a deliberate, highly structured and very effective White Australia Policy. While this profound change has occurred with apparently minimal fuss and considerable national benefit, the magnitude of the change cannot be underestimated or simply taken-for-granted. And while the national debate tends to focus on the contemporary situation, students definitely need a historical perspective on the change. This year we are commemorating the centenary of the end of WW1. Australia’s involvement in WW1 came at incredible human and financial cost. The extraordinary level of ‘sacrifice’ came about because of Australia’s commitment to and dependence on the British Empire. The young nation could not conceive of its political, economic, social or cultural identity separate from the Empire. Australia was also fundamentally racist, to a degree that even the ‘mother country’ found embarrassing. It was a white, mono-cultural society, notwithstanding the division between Irish Catholic and British Protestant. Australia was determined to protect its White Australia Policy throughout and after the War. And, as far as it was concerned, it succeeded. When PM Hughes returned to Australia from Europe in 1919 he was feted everywhere for his success in thwarting the inclusion of a racial equality clause in the League of Nations covenant, as promoted by US President Wilson. Attempts were made in various ways to establish the principle of the open door, and no discrimination as regarded color or nationality, but he fought determinedly against these attempts. One hundred years ago, Australia celebrated both victory over Germany and the preservation of the White Australia Policy. One hundred years on, the Empire has gone and the UK itself is even ’withdrawing’ from Europe. Australia for its part has become one of the most multi-cultural nations in the world. It has trade, defence, strategic, education and other links with nations across the globe. The nation has also very deliberately shifted its focus towards Asia. See, for example, the cross-curriculum priority of Asia and Australia’s Engagement with Asia in the Australian Curriculum. From the end of WW2, migration has redefined the Australian identity, and this commitment to migration – driven essentially by economic and security concerns – has enjoyed broad bi-partisan support. However, in line with overseas developments, there appears to be an increasing willingness on the part of some politicians and others to dog-whistle on migration and migrants. Given our history, the nation’s current set of strategic priorities and the contemporary make up and nature of Australian society, it is hardly surprising that cultural understanding is such a priority in our education system. Nor is it surprising that education is called on to play such a critical role in promoting cultural understanding. For social stability and social cohesion students need an understanding of the relevant history – and the fact that so little Australian History is taught in schools, particularly at the senior level, is a major concern – and a deep and sophisticated understanding of contemporary Australia and what it stands for. This is the broader background for our schools’ focus on cultural understanding. It is more than just developing the essential skills of understanding and respecting cultural diversity and being able to empathise with others. Cultural understanding is neither static nor one-dimensional. 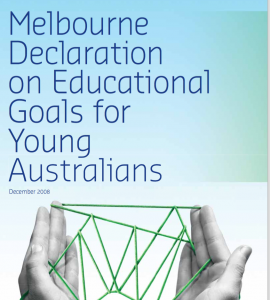 As the Melbourne Declaration states the goal is to … ensure that schooling contributes to a socially cohesive society that respects and appreciates cultural, social and religious diversity. 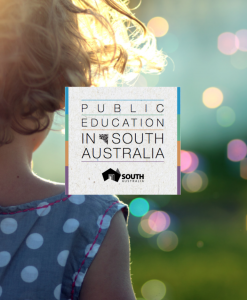 Similarly, as already pointed out, the SA statement on public education draws attention to the need to support a … diverse yet cohesive multicultural society. It is not simply about recognising and respecting cultural diversity but also about maintaining social cohesion. The relationship is dynamic and complex. These characteristics can be defined in a variety of ways and obviously need to be appropriate to the level of schooling. As well as appearing in the formal curriculum these essential characteristics, where relevant, need to shape the daily experience of students at school. Again, racism is a denial of both contemporary Australia’s law and culture. It is also important to recognise that cultural understanding, appearing as it does in the Australian Curriculum as a general capability, is not some form of ‘soft’, minor or optional learning. There is a greater depth to it than food, festivals and costumes. Again, it depends on the level of schooling and the actual curriculum content covered but the ‘seeds’ of the concepts and insights that are present in any form of cultural study lead to deep intellectual concerns: from observations of how culture changes over time and how it is shaped by environmental, economic and demographic forces, through consideration of the complex relationship between culture – as a sociological construct – and religion, as divine intervention. It also poses fundamental questions such as to what extent and in what ways does culture determine the distribution and exercise of power in a society; what is the relationship between culture and language; and, even, what is the relationship between common culture and personal identity? Global competence is a multidimensional capacity. Globally competent individuals can examine local, global and intercultural issues, understand and appreciate different perspectives and world views, interact successfully and respectfully with others, and take responsible action toward sustainability and collective well-being. Education for global competence can promote cultural awareness and respectful interactions in increasingly diverse societies. Since the end of the Cold War, ethno-cultural conflicts have become the most common source of political violence in the world, and they show no sign of abating. The many episodes of indiscriminate violence in the name of a religious or ethnic affiliation challenge the belief that people with diverse cultures are able to live peacefully in close proximity, accept differences, find common solutions and resolve disagreements. With the high influx of immigrants in numerous countries, communities have to redefine their identity and local culture. Contemporary societies call for complex forms of belonging and citizenship where individuals must interact with distant regions, people and ideas while also deepening their understanding of their local environment and the diversity within their own communities. By appreciating the differences in the communities to which they belong – the nation, the region, the city, the neighbourhood, the school – young people can learn to live together as global citizens. Global competence is also presented as a valuable ‘employability skill’ in an ‘interconnected world’. 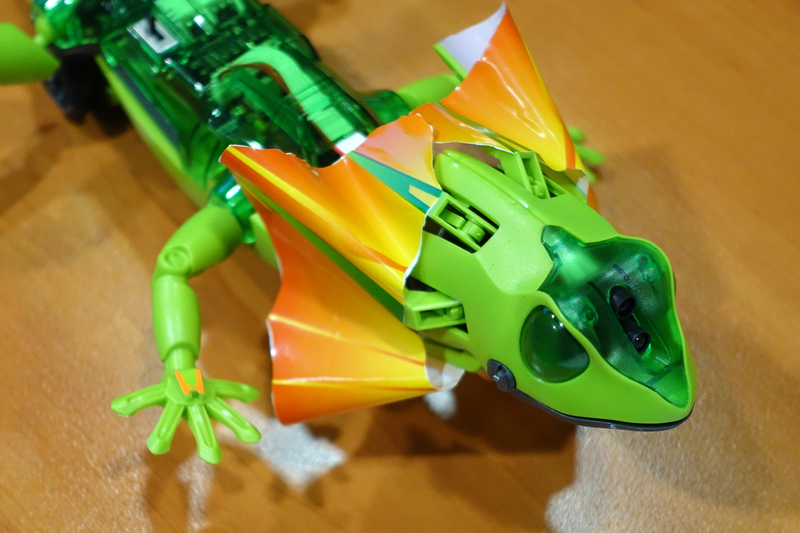 It is also seen as a way off supporting young people to become more sophisticated users of digital technology. It specifically notes that … young people are easily fooled by partisan, biased or fake news. Against this background, it argues that … cultivating students’ global competence can help them to capitalise on digital spaces, better understand the world they live in and responsibly express their voice online. This preoccupation with digital media appears to reflect the paradox that as the exposure to online information constantly expands – and increasingly affects the learning space that we have traditionally regarded as formal education – … online behaviour suggests that young people tend to “flock together” (Zuckerman, 2014) favouring interactions with a small set of people with whom they have much in common. The argument is that increased access to digital technology can actually produce more closed, restricted and negative thinking, attitudes and values. 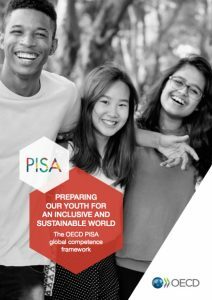 Lastly, global competence is seen as a natural setting for young people and the … new generations who care about global issues and engage in tackling social, political, economic and environmental challenges. Sustainability is an obvious focus. Racism in the school situation is a negative influence that affects the health, particularly the mental health, of those who experience it. Subsequently it compromises academic achievement and commitment to schooling and limits and distorts post-school options. It undermines cohesion within the school and creates a range of anti-social behaviours. The presence of racism in the school helps perpetuate it in the wider community and, equally, outside forces and influences can exacerbate the situation in the school. The focus on intercultural understanding – or whatever terms are used – represents the remarkable degree of cultural diversity in contemporary Australian society. Recognition and acceptance of this cultural diversity is the fundamental strategy for countering racism. 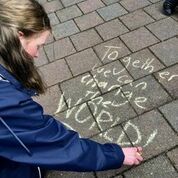 More than this, cultural understanding is a powerful educational asset – and challenge – in its own right, and beyond school it is increasingly vital to the Nation’s interests in an increasingly globalised world. There is a critical balance between cultural diversity and social cohesion. As much as cultural diversity needs to be recognised and accepted, there is an absolute need to articulate, teach and enact the fundamental values, institutions and laws that characterise our society. In some instances, this instruction can be be at odds with the cultural background of some students. A central plank in any scheme to teach students about our contemporary identity and place in the world has to be the teaching of Australian History. Unfortunately, in the contemporary curriculum, particularly at the senior level, this is a somewhat neglected area. All of this is taking place in a political landscape where appeals to nationalism, populism and anti-migration policies are on the rise. The recent address by the retiring Race Discrimination Commissioner – Dr T Soutphommasane – is particularly relevant: Confronting the Return of Race Politics . There is also a growing sense that, overseas at least, some find the politics of national identity more appealing than the traditional commitment to the principles and practices of liberal democracy. The fractures developing in many societies around the world highlight the importance of a vibrant public education system. Public schools are public spaces where students from a wide range of backgrounds and experiences mix together, learn to appreciate and respect their differences, and develop the understandings and dispositions needed to contribute to democratic life in a multicultural society. Never before have such skills been so needed.